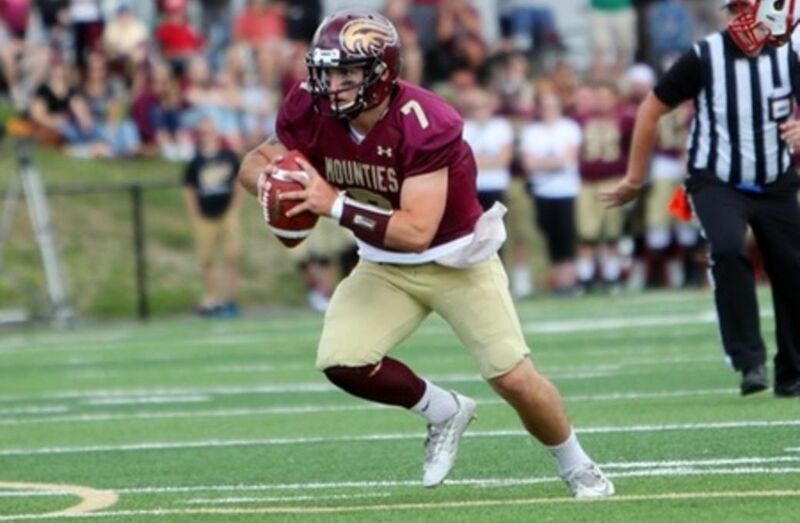 The Mount Allison Mounties have a franchise quarterback due to good planning and a bit of good fortune. Jakob Loucks came out of Cornwall, Ont., to win U SPORTS Rookie of the Year last season, becoming the first Mount A player in 17 years to claim the Peter Gorman Trophy. He helped the Mounties to the AUS title game against St. Francis Xavier a year ago, returning from a crunching hit in the first quarter that sent him to hospital to finish the game on the field. 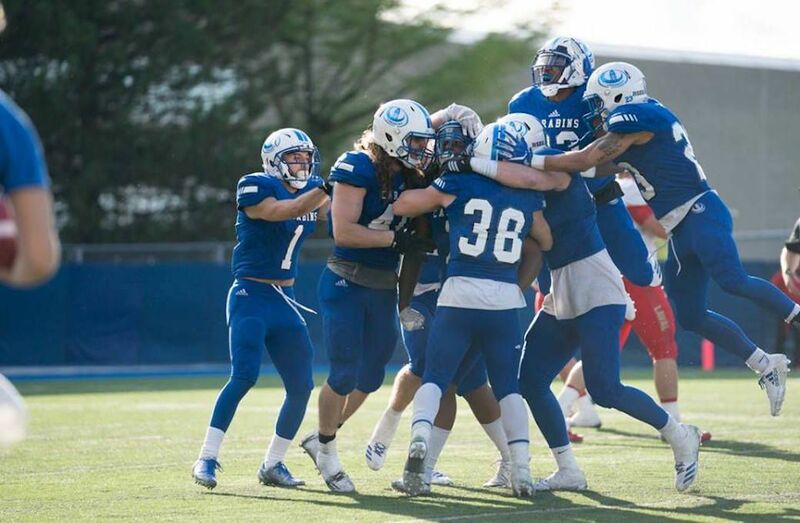 The 19-year-old sophomore began the 2017 season last Saturday by throwing for 402 yards and three touchdowns to lead the Mounties to a 64-23 over the Acadia Axemen at Alumni Field. The Mounties will visit the two-time defending conference champion X-Men on Friday to start the second week of the season. At Wolfville, Acadia will look to bounce back against the Bishop's Gaiters, making their AUS debut, on Saturday afternoon. Loucks might have been courted far and wide had he not left Canada for two years to play at Canisius High School in Buffalo, N.Y. He won a state title. Upon his return to Canada, he was declared ineligible to compete in the Ontario high school ranks in his Grade 13 season. The Mounties, among others, had already identified Loucks as a top target, but many other universities lost sight of him. "Actually, I didn't have that many options," he said this week. "I played in the U.S. and no one had ever heard about me." He didn't make any of the blue-chip recruit lists, had never played for Team Ontario or Team Canada. Three or four Ontario schools reached out with McMaster the likeliest destination. But just before he planned to join the Marauders, the Mounties invited him to Sackville, N.B., for a campus visit. Then the magic happened. "Ever since I came I fell in love with this place," he said. "Here I am. "Sackville is like a smaller Cornwall for me. It's 48,000 people, but it's the exact same way. There's not much to do. It's calm. It's the small-town lifestyle, I guess." Former Mount A head coach Kelly Jeffrey started the recruiting process and current head coach Scott Brady finished it. Did they know what they had? Not really. "We liked him," said Brady. "There were basically three kids we had identified as potential quarterbacks. We knew Brandon (Leyh) was done and we had to go get a guy. After we watched some film, we decided it was him. We thought he was good. We thought he could be our quarterback and we were excited about him, but you never know until you get them into practice and see how they do and how they work with the guys." The honours came fast and furious for Loucks, who threw for 1,325 yards and five touchdowns as a freshman. Perhaps the least impressed was Loucks. He thought he should have been better. He remembers the seven interceptions more than the touchdown passes. "I definitely felt like that after not being able to play the full game in the Loney Bowl against St. F.X. when I had to go to the hospital," he said this week. "That's one game I'll never get back that I wish I could. "And there were a lot of throws I left out on the field just by being an inexperienced quarterback and not feeling comfortable in the pocket and trusting routes and trusting receivers." The opener this year showed a new Loucks. "This year I tried to avoid all that, avoid all the scrambling, and just try to stay true to my reads and deliver the ball and be a passing quarterback and not so much a running quarterback." One of the enduring images of that Loney Bowl is seeing Loucks belted head first to the turf. He complained of neck pain, prompting caution and a trip to the hospital. But once he was cleared, he hustled back to be with his team, despite the fact the X-Men had the game well in hand upon his return. For many, it showed the kind of toughness and leadership expected of a champion quarterback. "I'm sure that's how people would see it, but at the end of the day we didn't come out with a win. We didn't get to advance to go play Calgary (in the Mitchell Bowl). It's still a loss regardless if I came back from the hospital or not. The point of this is to keep winning and to go and win a Vanier Cup." Brady watched Loucks grow each week as a rookie. "I think the biggest thing was seeing how tough he was and how quickly he earned everyone's respect," he said. As for the championship game: "It was probably one of the cooler things I've ever witnessed. Even before that he showed multiple times during the season how tough he was. The guys respected him a ton. That just took it to a whole different level." At his exit interview with Brady last spring, Loucks lamented the mistakes. He said he didn't like to be praised for playing well for a rookie, thinking it was a bit of an unintended insult. "He just holds himself to such a high standard," said Brady. Loucks is a year older and wiser and eagerly incorporating the lessons of his first season. But, with success, comes added expectations. "Expectations do go up, especially after you have a year like I had with all the accolades that came with it. But having one year under your belt allows you to know who you are playing against, what kind of a team they are and what their defence does." The Mounties have played in four straight Loney Bowls, winning the first two and losing the last two. Loucks said the team developed a habit of looking toward the end of the season. "Last year I think we all got caught up in thinking the goal was Loney Bowl, Loney Bowl, Loney Bowl. I think this year our team mentality is to take it one game at a time now and not try to look ahead and not overwhelm ourselves with expectations. If we keep playing the way we did last week, then I'm sure we'll end up there." Maybe fate will intervene again. "I ended up coming here and I'm really happy I did. I wouldn't change it for anything."